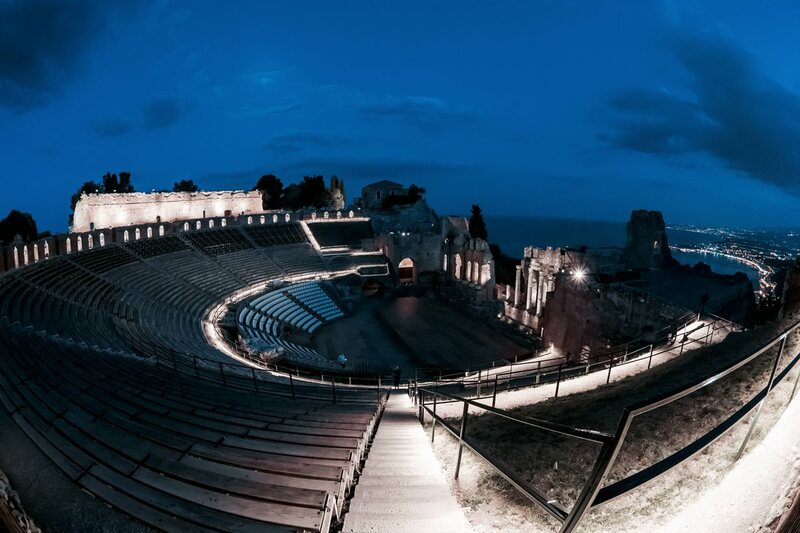 The Greek-Roman theatre of Taormina is lit with a new light and opens to the public after sunset. 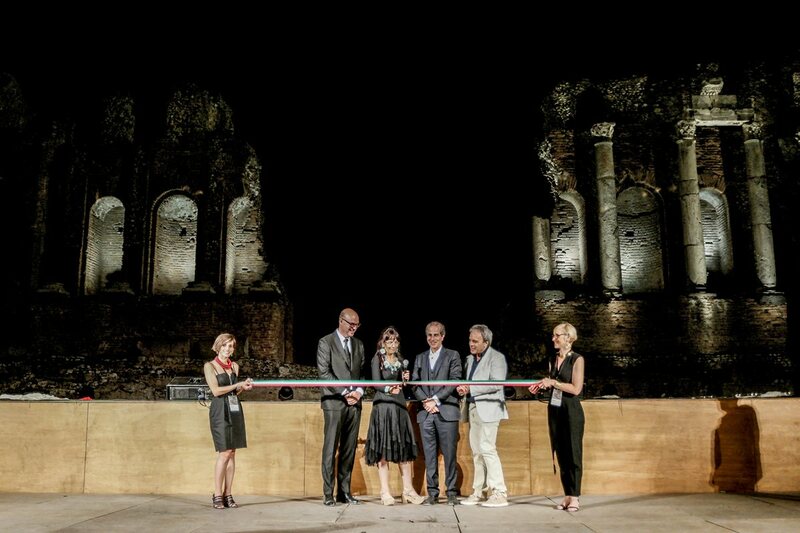 The new lighting project of one of the most fascinating archaeological sites in Italy was inaugurated on Wednesday, the 28th of June. 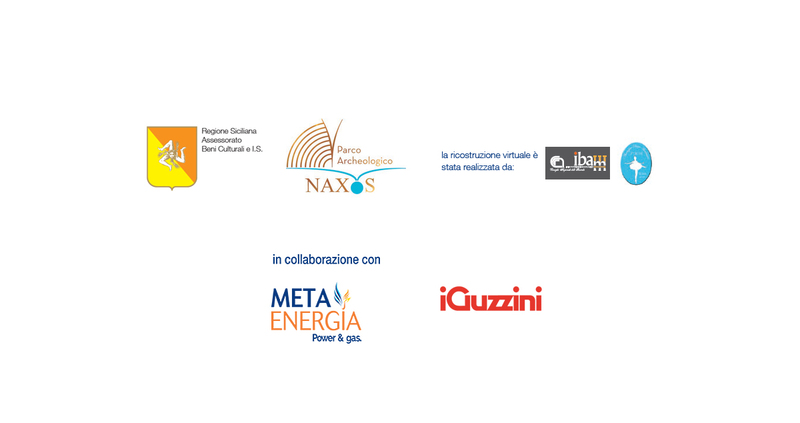 Carlo Vermiglio (Regional Councilor for the Department of Cultural Heritage and Sicilian Identity), Vera Greco (Director of the Archaeological Park of Naxos), Roberto Sannasardo (Energy Manager of the Regional Department of Cultural Heritage and Sicilian identity, and lighting designer), Francesco Pizzo and Carmelo Prestipino (respectively Deputy Chairman and Director of Energy Efficiency of Metaenergia) and Andrea Sasso (CEO of iGuzzini) were all present at the press conference presenting the project. The new season of evening visits at the theatre was officially kicked off with a videoclip showing a virtual reconstruction of the theater realized by the IBAM-CNR, and a spectacular performance by the Dance Association Accademy T.M.B. from Catania. The new lighting is part of a wider strategy of energy efficiency of real estate and archeological areas of the local region undertaken by the Department of Cultural Heritage and Sicilian Identity and the Metaenergia Group using iGuzzini products as lighting solutions. The selected equipment, with minimal visual impact, warm color temperature (2900-3000 K) and excellent colour rendering, have both enhanced the architectural and landscape peculiarities and extended the usability of one of the most fascinating places in ancient history to evenings. The use of innovative solutions - consisting in about 500 meters of Underscore InOut and 113 Woody family projectors - provides uniform lighting effects and unaltered performance over time without causing light pollution, a phenomenon that iGuzzini has cared about since the nineties. The new lighting system generates 80% of energy savings over the previous one and consequently reduces management costs. 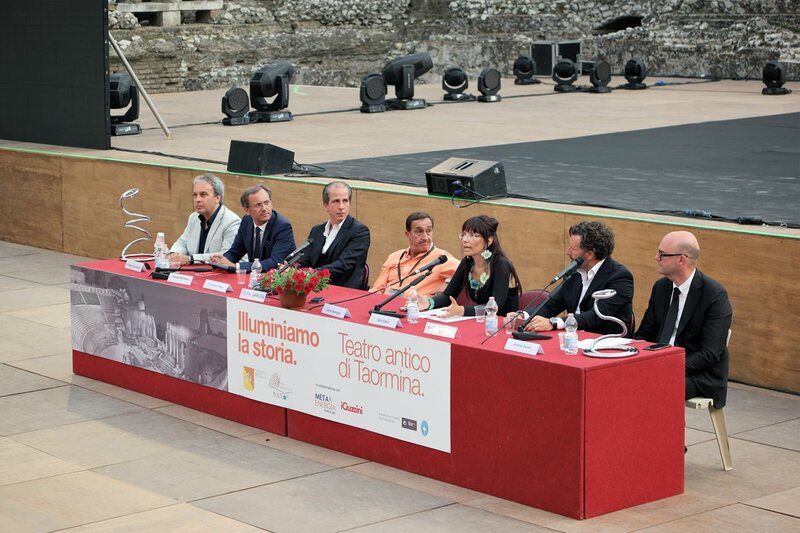 "It is an honour for me and the company I represent to be here tonight," said iGuzzini CEO Andrea Sasso, highlighting that "for more than 20 years iGuzzini has made available its own culture of light and equipment to serve international projects that allow people to appreciate better iconic sites and artworks”. This confirms, once again, the commitment of the Group to enhance, through light, places of art and culture, to enhance their potential and their preservation and integrity over time.